India: A huge, enormous country. Where there are more than one thousand two hundred millions of souls of which only a “little flock” – barely touching the two percent – lives in the womb of the Church of Christ, of our Mother Church: “The Mother of all men, because being a mother is to give life, and God, who is the infinite life, stayed in it for us to distribute it with the heart of a Mother and love of the Holy Spirit”, in the words of Mother Trinidad. And so, with the same vibration of the Mother Church, as its “Echo in repetition”, Mother Trinidad, through her spiritual children, has wanted to reach also this immense Asian country, to bring the light and the treasure that God has placed in her soul; and that it is all that infinite Life, all that treasure of divine Life which the Church is called to give to all, manifested in wisdom and love. To tell the truth, it is not accurate to say that Mother Trinidad, or her Work of the Church, have gone to India to carry her message. It would be more accurate to say that the Church itself in India, through some of its shepherds, the Bishops, have brought Mother Trinidad to those lands. This is something very beautiful: that young Church, full of hope and missionary strength, which grows at double the rate of the population of the country itself, that Church, because of its shepherds, calls and lovingly welcomes The Work of the Church. 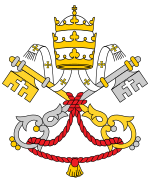 And in this way, the “Echo of the Church” will be able to sing her song in India too, to give life to those children of the Church who are called to be missionaries in the middle of a vast multitude of souls who seek the truth and do not have it, and who the Mother Church loves and wants in her womb. 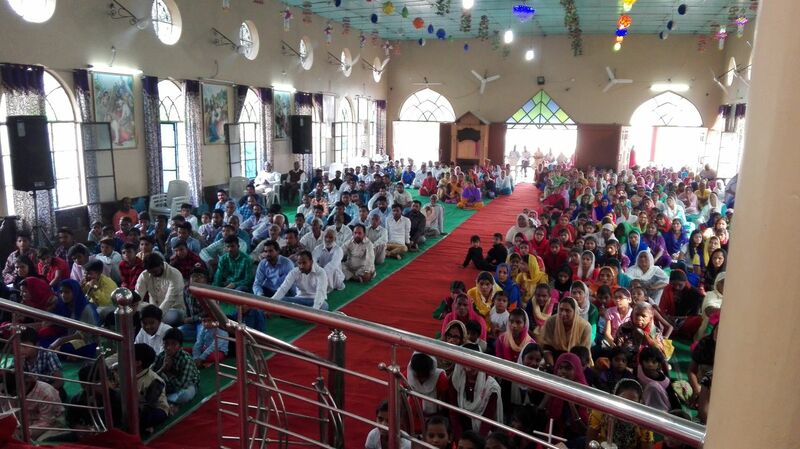 Therefore, for the fourth time in two years, the past month of October, The Work of the Church returned to India in an apostolic mission to comfort, to assist, to love the Church in that country, which is frequently facing big difficulties. 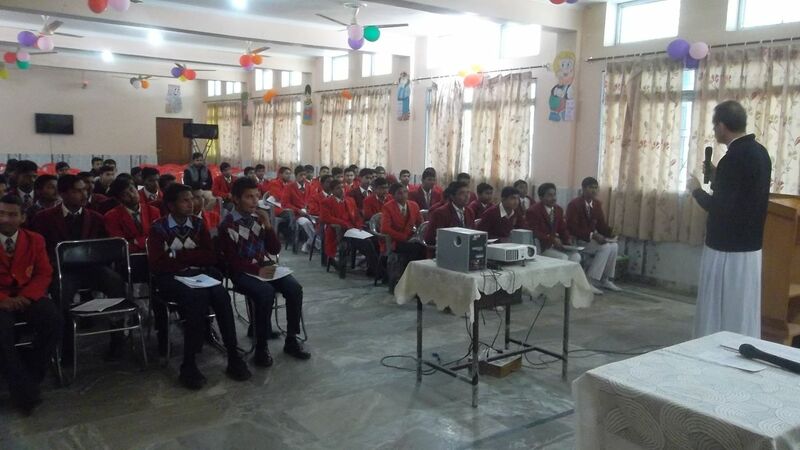 Four members of the masculine branches and other four of the feminine branch flew to Jalandhar, the diocese of Mons. Franco Mulakkal, in the state of Punjab, in order to conduct several retreats and encounters. Both, Bishop Franco Mulakkal and Bishop Ivan Pereira, from the neighboring diocese of Jammu-Srinagar, received the members of The Work of the Church with happiness and affection. The consecrated women of the feminine branch had the opportunity to lead two retreats for the religious of the diocese in the major seminary of Jalandhar and in Amritsar, as they did a year and a half earlier. In an atmosphere of great joy and deep spiritual experience, they were able to communicate once more the wonderful message that, from God, Mother Trinidad brings to all without exception, but in the first place, to consecrated souls. As for the consecrated people and priests from the masculine branches, they conducted a spiritual retreat for the youngsters from the Caritas center of the diocese, helping them to penetrate in a better way the mystery of true love; since true charity is the fruit of the love for God, which grows in us above all in prayer, where Jesus awaits us always in the tabernacle. They also accompanied during some days the four seminarians who are preparing there to get also a day, if God wants it, to the side of Mother Trinidad to help her helping the Church. The core activities of this fourth mission of The Work of the Church in that young Church were directed precisely to the youth. 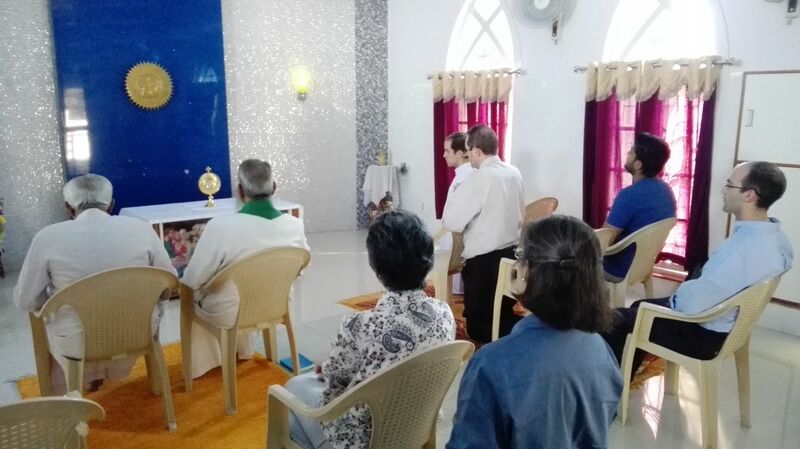 A good part of the Catholic youth in India still maintains a deep spirit of prayer and seeks God. In the open field of their young souls, the beauty and the depth of the way in which the founder of The Work of the Church presents the mysteries of the faith profoundly touched them, making them penetrate more deeply into the greatness of their being Church. The joy of all these boys and girls overflowed in their eyes and in their words of thanks, while in some of them the flame of a possible vocation of total dedication to the Lord and to His Church began to shine. 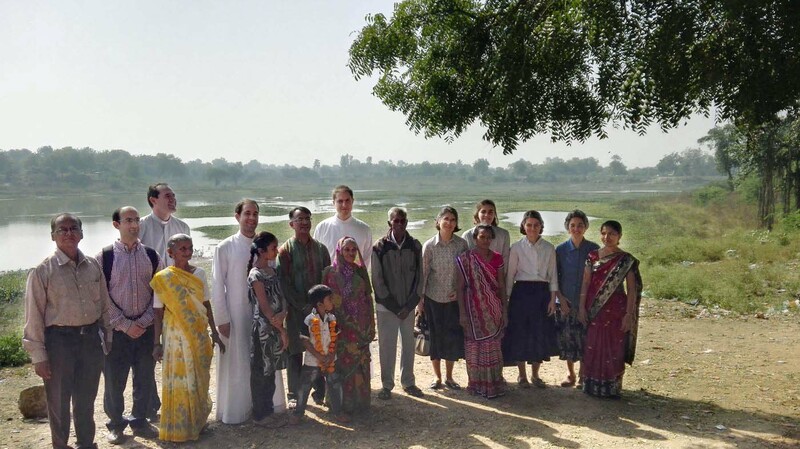 After the Diocese of Jalandhar, the mission of The Work of the Church moved more than a thousand and three hundred kilometers toward the south of the country, to the diocese of Ahmedabad. There, the same Archbishop Thomas Macwan, welcomed the missionaries in his own home. Two other bishops were also present: Bishop Oswald Lewis, who flew from Jaipur and Bishop Lourdes Daniel, who travelled from Nashik after twelve hours by car. They made such an effort to meet the spiritual children of Mother Trinidad, which demonstrates their sincere appreciation and love for her, and the strong desire they have that this light that God has placed in the Church may reach and enlightens the members of their respective dioceses. 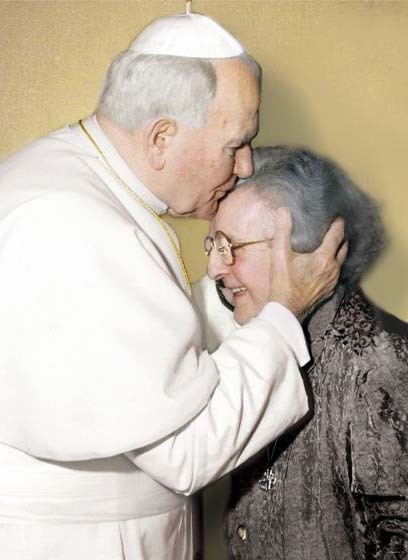 There were, in this way, new encounters with young people, with families, with priests…Some of them very committed already in spreading the message of Mother Trinidad. To sum up, a beautiful planting of light and life of the Church, which is representing to some souls /> also a deeper awareness of their being Church, each one with its vocation and its mission. Seeds of renewal planted in a humble and small but already fertile and promising field. Seeds planted by The Work of the Church, alongside the Shepherds, which has made it possible for a large group of priests, religious, youth, lay people… children of the Church in India, to receive, seize and transmit to others the divine treasure which the Church has in her womb. And now, in our time, God has willed that from the simple soul of Mother Trinidad, by her word and her life, it reaches the whole Church for His glory and for the salvation of souls. To the whole Church. And all souls. Also the Indian, although they are so far away. May God be glorified in all of this.